Love has no bounds, no limits, just expressions are enough to someone feel special. Parth and Akshita come together to express their love full of romance with adorable expressions. Their passionate cinematic love story spanned across the city beautiful of chandigarh to the Queen of the hills, shimla. 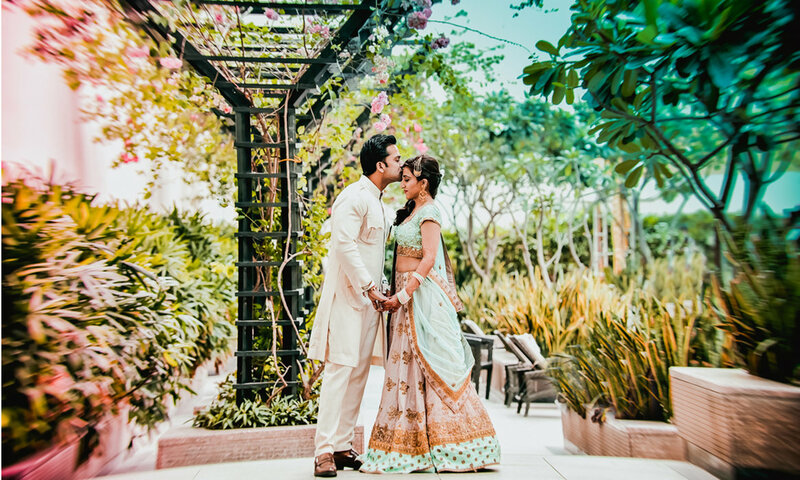 Where love knew no bounds, Tanmay and Julie came together against all odds to bring two diverse cultures together with the love for each other and their families who flew all across the globe to be part of this spectacular destination Wedding. The wedding cinematic film, set in the backdrop of the golden city of Jaisalmer, Rajasthan touches the very soul of passion, unconditional love, family bonding. and emotional connect that the couple share. It all culminates in a beautiful Indian Wedding which imbibes the aura of a divine sundown Christian wedding set adobe the Sand Dunes of Jaisalmer and traditional Hindu Pheras. We are a professional photography services company based in Chandigarh.. We have been running a professional photography business for 50 years, specializing in North Indian Wedding, Bengali Wedding, Bridal Portraits, Christian Wedding, Engagement, Hindu Wedding, Wedding, Fashion & Portfolio, Expo/Exhibitions and Corporate Events photography. We undertake customized photography requirements. Some of our products and services include HD Videos, Coffee Mug, Photobook, Promo Videos, Blueray Disc, Brochure, Calendar, CD / DVD, Coffee Table Book, HD Highlights, Enlargement, Lamination and Poster. We provide services in Chandigarh and All Over India. We are proficient in English, Punjabi and Hindi. Your message was successfully sent to Roshan studio. The Photographer may contact you soon.